There’s so much to experience in a visit to the Oxbow Hotel in downtown Eau Claire, WI – thoughtfully-designed rooms and furniture, locally-curated food and drink, world-class local and national musicians, and so much more. But an equal part of the Oxbow experience is art. Our gallery, rooms, corridors, and walls inside and out are covered in original work from local artists both literary and visual. So art is important to us at the Oxbow. In fact it’s so important that we wanted to bring more of it into the community that surrounds us, for both locals and our traveling guests to enjoy. That’s what spurred the Oxbow’s Artist in Residence Program. Molly Z. has worked many years as a finely detailed digital illustrator, contracting with agencies, product manufacturers, and many different clients. She is always looking for a way to make beautiful art that affects lives daily. The idea of permanence and experience gives Molly Z.’s work a deeper purpose; to transform whole places, to fill spaces with thoughtful, inspiring, lasting works of art. She has created many large-scale works of art, public art for museums, schools, and businesses and has produced live art murals for major industry conferences and special events. Intersection of Galloway and Farwell Streets, the side of the Eau Claire Printing Building, across the intersection from the Oxbow Hotel. A handful of community volunteer painters will be accepted to help on some days of the process. 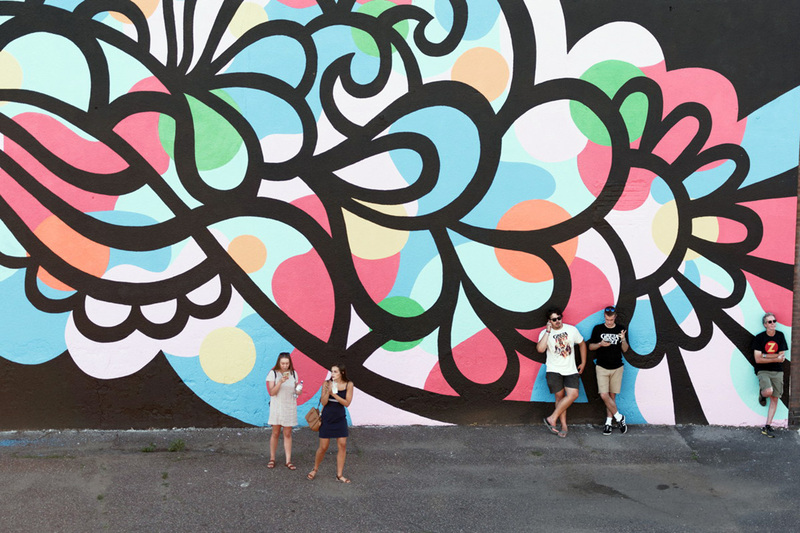 If you’re interested in being part of a large-scale downtown mural, go to our volunteer form. 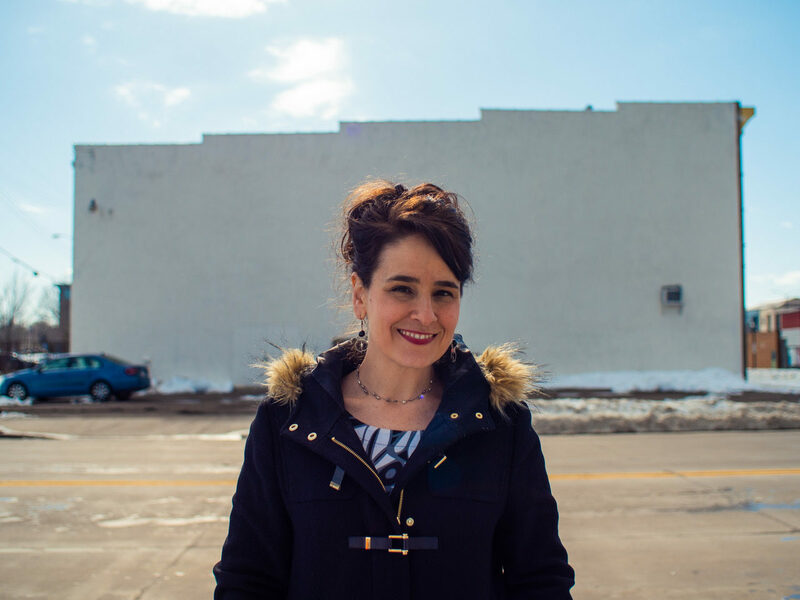 Molly Z. will join a panel of local artists and art leaders in a discussion centered around creating large-scale murals in a community. Guests include Greg Johnson of Artisan Forge, artist and 200 Main Gallery operator Jo Burke, and local artist Jason Anhorn. Artists and enthusiasts of all kinds are invited to participate in the discussion. 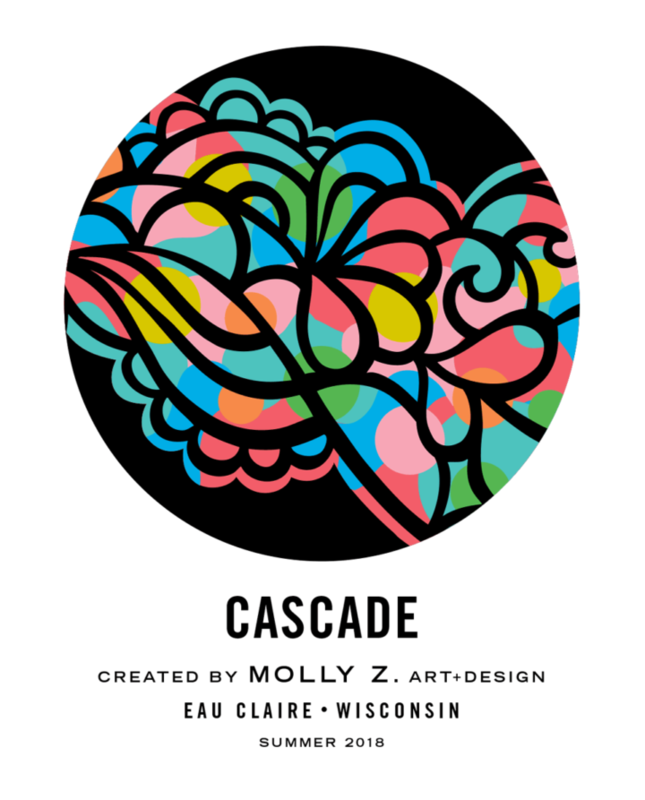 Join the team from Visit Eau Claire along with Tangled Up in Hue, who will be on-site doing live screen-printing of mural posters. Molly Z. will be there to chat with community members and sign posters. Be part of the celebration as the nearly-finished mural is on display.